Is Lamictal bipolar treatment the new gold standard? Is Lamictal medication really so wonderful? For some, yes! Lamictal is a bipolar medication manufactured by GlaxoSmithKline with the generic name “lamotrigine. Bipolar disorder used to be known by perhaps the more accurate and descriptive name of manic-depression. DO NOT lose sight of the fact that this illness is mainly characterized by MOOD SWINGS into MANIA or depression. The ULTIMATE GOAL of treatment is for long term maintenance of stable moods, with as few mood swings as possible. Lithium is the most studied treatment and known to be the best for preventing mania, BUT it is only WEAKLY EFFECTIVE for treating depression.Lamictal is the MOST EFFECTIVE at preventing bipolar depression. Zyprexa (olanzapine) is so strongly associated with weight gain and diabetes that it is not an ideal first choice. Hence the power and the proof of the Lamictal/Lithium combination. 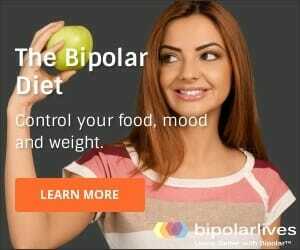 FDA approval of Lamical for bipolar maintenance treatment as a mood stabilizer was a very big deal. It was the first medication to receive this approval since lithium – 30 years ago! Another important finding suggests that Lamictal bipolar treatment may be mainly effective against depression as opposed to mania (this where the lithium or other anti-manic drugs come in). This is significant because, as the chart shows, people with bipolar disorder typically spend much more time suffering from depression. Episodes of mania are relatively rare for many people. Lamictal medication – what YOU should know! Another reason Lamictal is popular with doctors and consumer is because it is usually weight neutral. Can it be used for children and teenagers? The most common side effects are diarrhea, double vision, blurred vision, nausea, dizziness, and tiredness. The risk of dangerous side effects such as suicidal or other self-harm thoughts from taking lamotrigine are considered very low. HOWEVER, THERE IS ONE VERY SERIOUS SIDE EFFECT THAT CAN BE DEADLY! We are talking about the notorious Lamictal rash. The drug comes with a black box warning about developing a skin rash. This may indicate you have developed Stevens-Johnson Syndrome and Toxic Epidermal Necrolysis – these can result in death. Most of the time the rash is not a serious condition. Approximately 5% to 10% users will develop a rash, but only one in a thousand of these will be the serious rash. Bad luck indeed for those who therefore cannot benefit from Lamictal bipolar treatment!